The Society of Dermatology Physician Assistants (SDPA) Board of Directors with much thought and consideration fully endorse the American Academy of Physician Assistants (AAPA) proposed policy on Full Practice Authority and Responsibility (FPAR). ● Emphasize our profession’s continued commitment to team-based practice rather than autonomous care. ● Support the elimination of provisions in laws and regulations that require a PA to have and/or report a supervisory, collaborating or other specific relationship with a physician in order to practice. ● Advocate for the establishment of autonomous state regulatory boards, with a voting membership comprised of a majority of PAs, to license, regulate, and discipline PAs. ● Ensure that PAs are eligible to be reimbursed directly by public and private insurances. The SDPA believes that PAs demonstrate a mastery of both skill proficiency and medical knowledge that negates the need for individual PAs to have their licenses subjugated to that of another member of the healthcare team. We assert that individual PAs recognize the limits of their knowledge and skills, and will consult appropriate members of the healthcare team in order to obtain optimal patient outcomes. The AAPA policy on FPAR proposes the elimination of provisions in laws and regulations that require a PA to have a supervisory, collaborating or other specific relationship with a physician in order to practice. 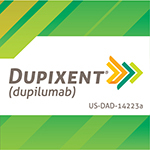 The SDPA fully supports this decoupling of PA licensure from other healthcare team members as we believe this would afford PAs greater mobility within the healthcare system and improve patient access to care by allowing PAs the same opportunities for practice as other members of the healthcare team. Roadblocks to reimbursement also create difficulties for patients, healthcare systems, and the medical professionals who provide care to patients. The SDPA supports the proposal set forth by the FPAR policy that PAs be given the opportunity to be reimbursed directly by both public and private entities to ensure that all parties have a functioning and equitable healthcare system. Finally, the SDPA believes that PAs should be held to the same accountability as other members of the healthcare team for their professional practice decisions and actions. In order for this to occur, PA licensure and practice should be defined, disciplined, and regulated by a medical board comprised primarily of peer medical professionals, PAs. 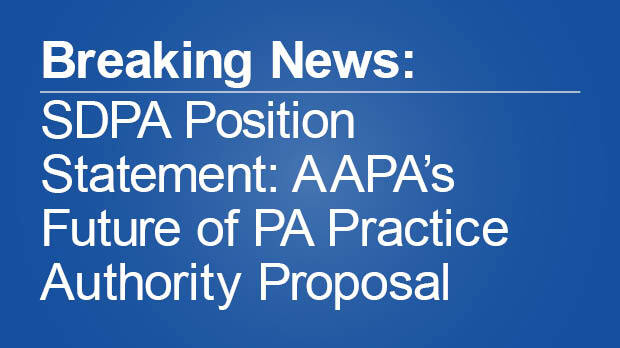 The SDPA supports the provision proposed by the AAPA policy on FPAR advocating for the establishment of autonomous state regulatory boards, with a voting membership comprised of a majority of PAs, that license, regulate, and discipline PAs as this model will allow PA practice to be governed in the same manner as other healthcare professionals. The SDPA considers the proposed policy changes to be a natural progression of the profession from a ‘dependent practice model’ to the current and modern ‘team based model of care’ that is the standard for healthcare provision across the United States. The SDPA fully endorses the AAPA’s policy on FPAR as these changes will strengthen our profession’s commitment to team based care and ultimately benefit the health of the nation.